Portrait is an 18 year old Holsteiner gelding that has an amazing show record and is an excellent teacher. Ready to step down from his 3’6″ career, Portrait is the perfect 3ft horse. He took both previous girls that leased him over their first 3ft jumps to winning in the Children and Adult Hunters within 2 months. 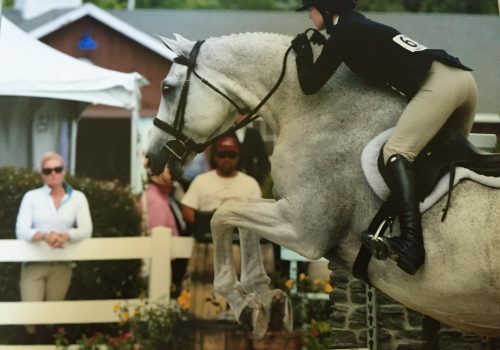 He is low maintenance, lovely to ride, has a beautiful jump, great at horse shows, and a perfect horse to learn on. Owner would like to keep him with JET Stone, so if you are looking for a barn and a nice lease, please inquire!